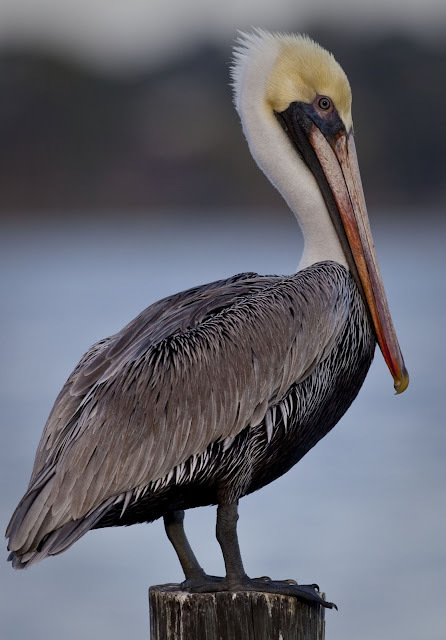 Brown Pelicans are very common Florida birds, found here year round, frequenting the coastal waterways. Sebastian Inlet State Park is one of my favorite local spots to observe the pelicans. 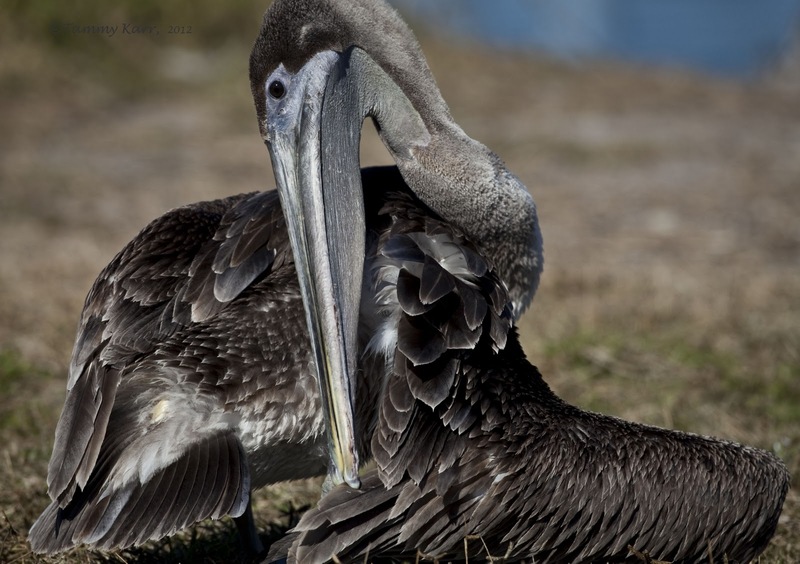 The inlets is highly frequented by fishermen and pelicans are always trying to befriend them. They often get too close. The pelicans here are not camera shy and often seem to be posing for photos. It's also a great place to practice trying to capture pelicans in action, which didn't go so well for me, but there is always next time. The majority of pelicans I saw on this visit were immature. This pelican thought something was really funny. Well, he looked like he was laughing. That was quite a yawn! Preening was a popular activity among this group of pelicans. 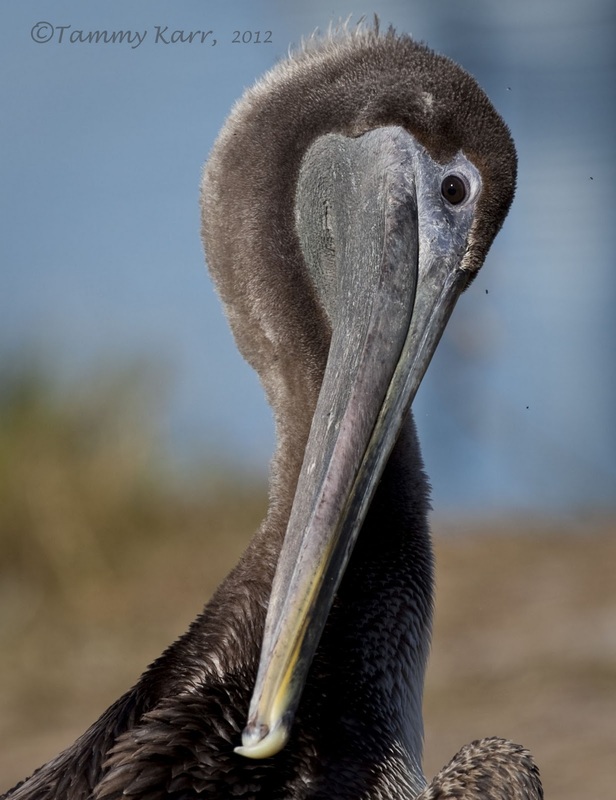 I took this photo of an adult Brown Pelican a few weeks ago on the Indian River Lagoon. 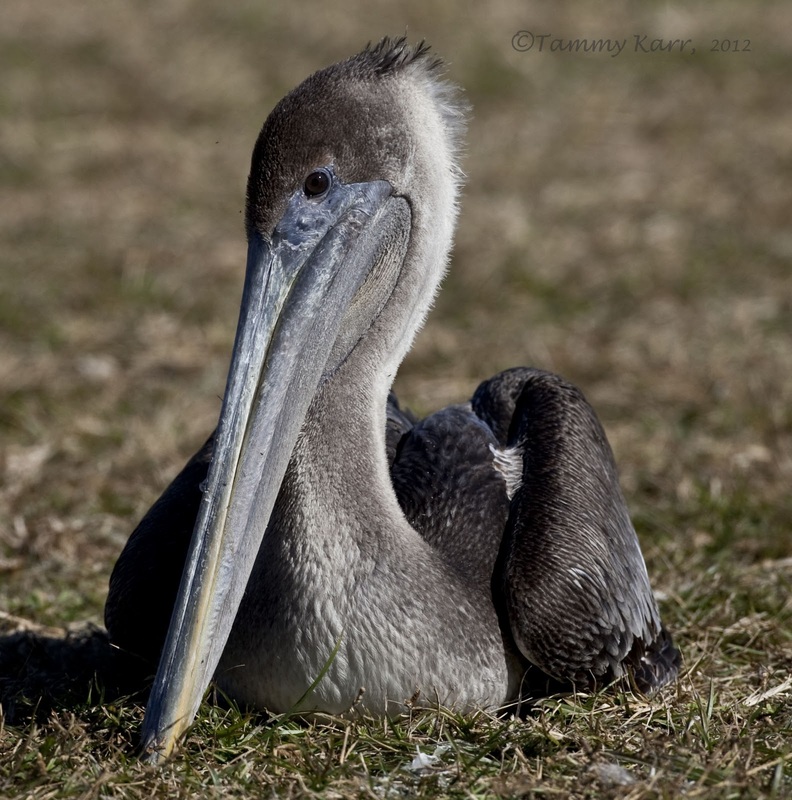 Love your photographs (and Pelicans!). Spent last Christmas on Key Largo, just beautiful with lots of Pelicans. Thank you! I was just in the Keys this weekend; great place to see Pelicans! Wonderful photos. 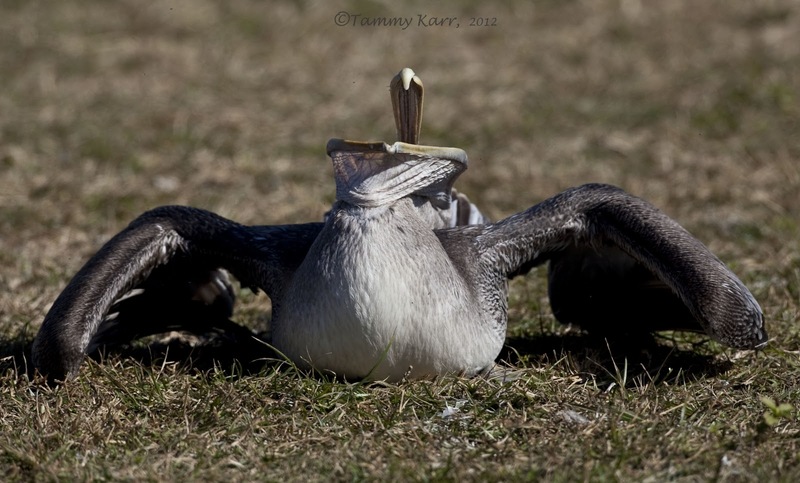 For having such heavy heads, these seem to be pretty charismatic birds. One of my favorite aspects of the beach is the pelican patrols that fly along the coast. Thanks Laurence! Some of them are definitely charismatic! Lovely shots Tammy. Maybe one day I will get to see some! Thanks Marc! I hope you do get to see them! Que maravilla de fotos y de encuadres. 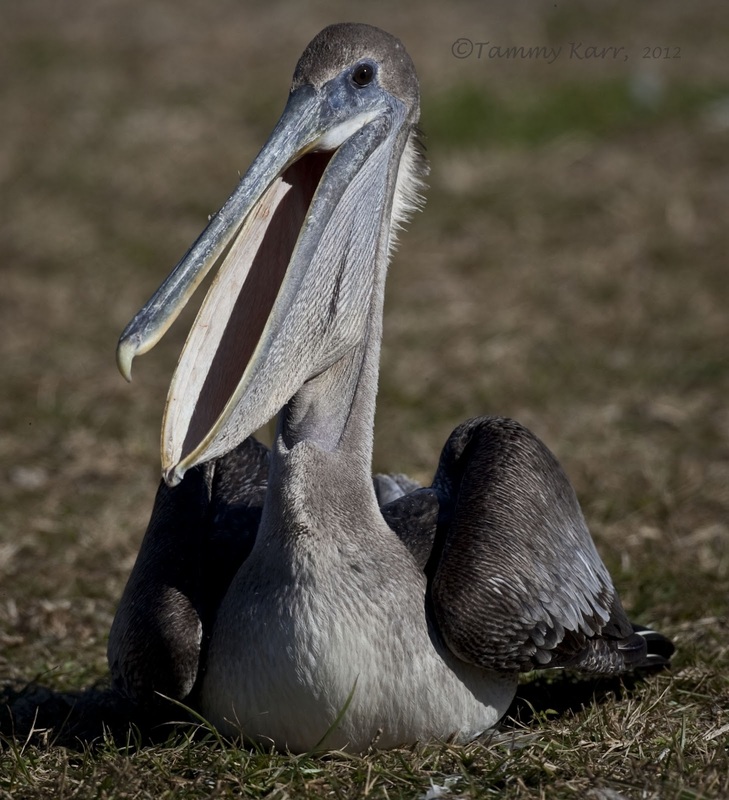 A peculiar bird is the Pelican, his beak can hold more than his belly can! Sorry couldn't resist. Great shots Tammy. Spent a lot of time watching them in the Caribbean, love to see them dive. That's funny, Phil, I can never resist that saying either! Thanks! Brilliant, just beautiful. The Pelican laughing, it is my fave. Wow! Fantastic shots! I've seen Brown Pelicans once and that was during a trip to FL many years ago. Your photos are exceptional, Tammy!